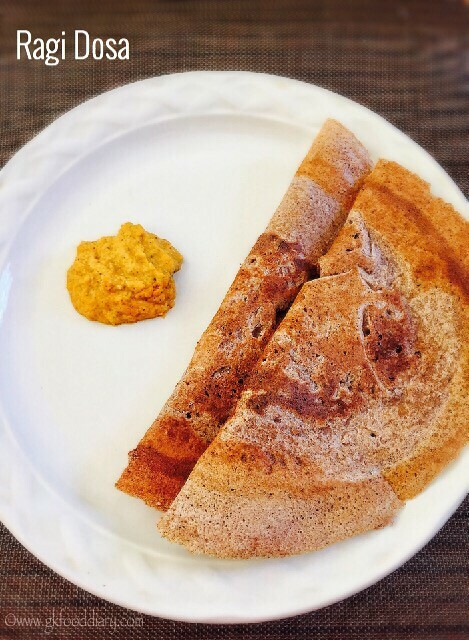 Kids love to eat variety of dosas, uttappams & pancakes as they are different colors and tastes delicious. 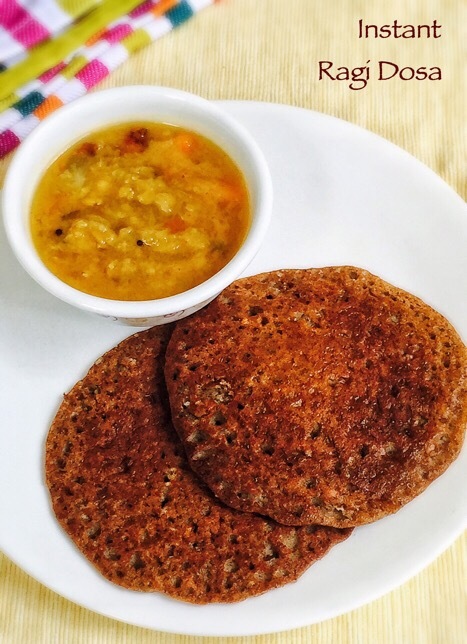 Its one of the best way to sneak in some vegetables or lentils into kids diet. 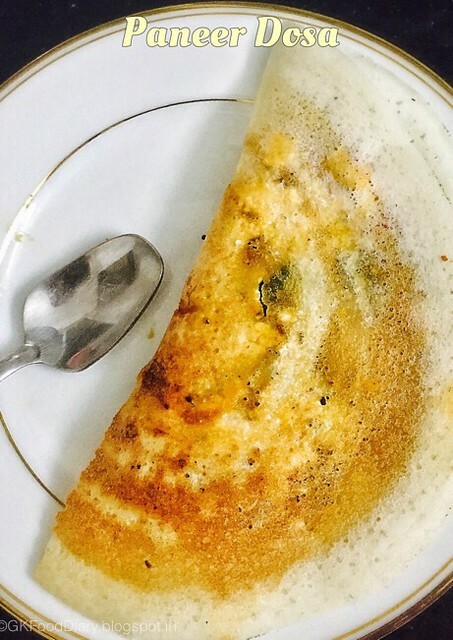 Dosa – Indian crepe made from rice and lentils. 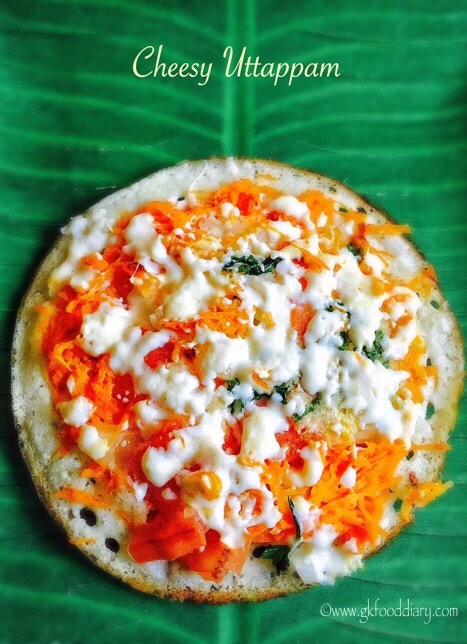 It’s a staple breakfast in south India served along with sambar or chutneys. 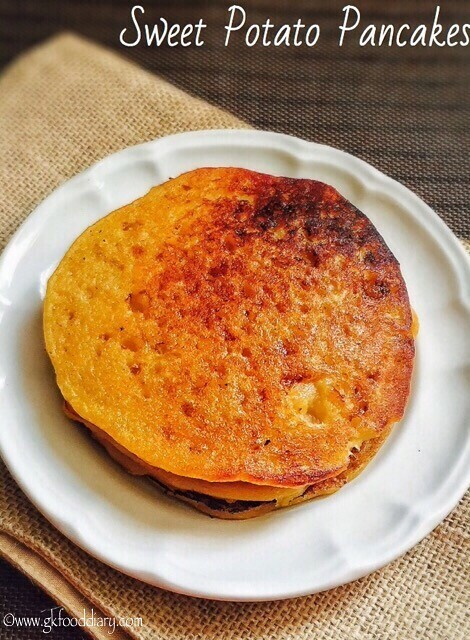 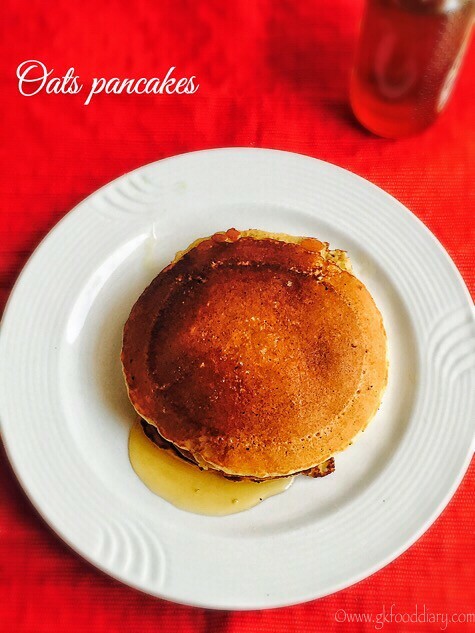 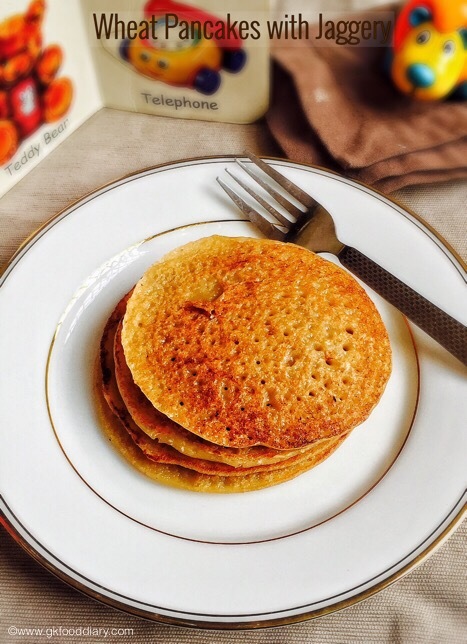 pancakes – round soft flat cakes prepared with instant batter. 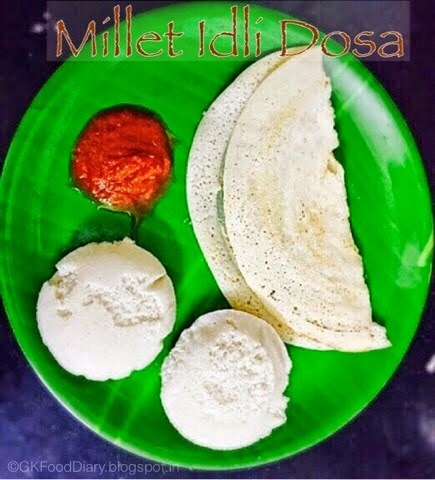 How and when to introduce dosa/Uttappam/pancakes to babies? 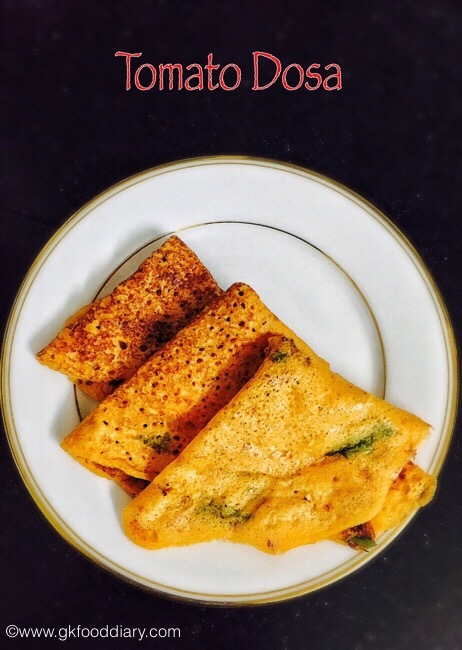 Dosa/uttappams/pancakes are great finger foods to start with, which encourage self feeding in babies! 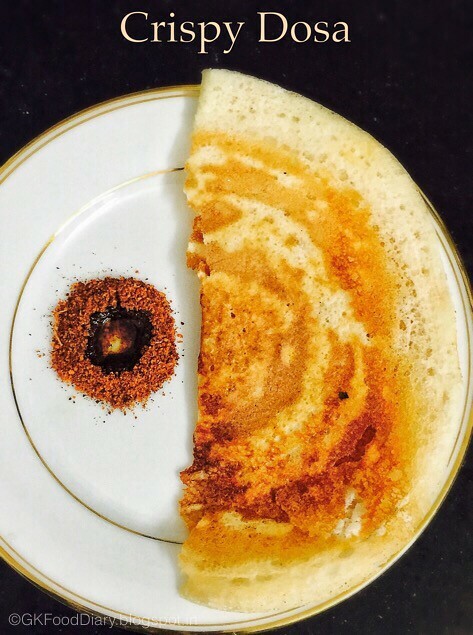 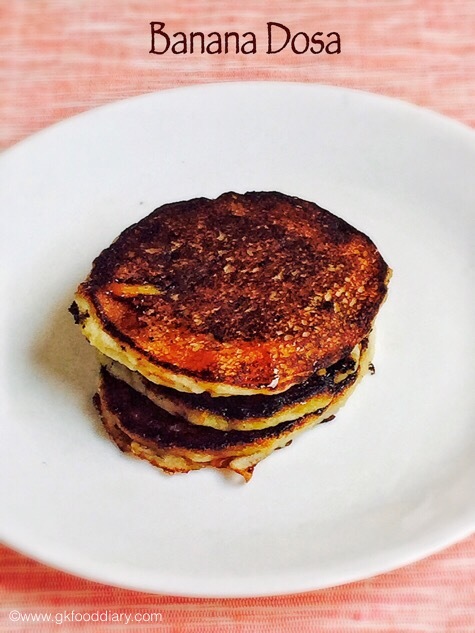 Initially when you begin, you can offer as tiny cut pieces of dosa/pancakes/uttappams. 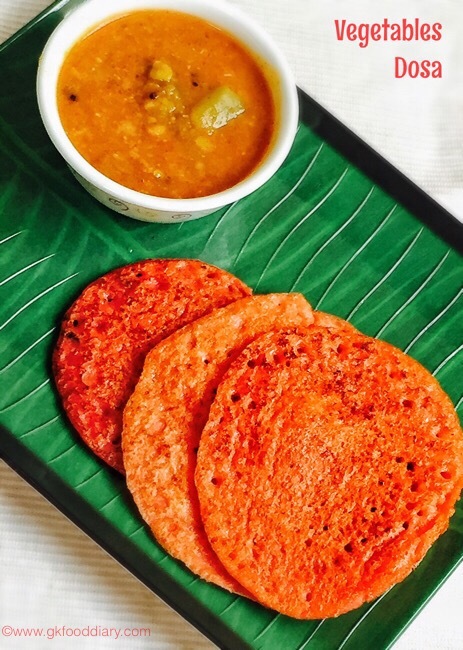 If your baby is not ready for finger foods, you could soak in dal, curd or any mild gravy and feed your baby. 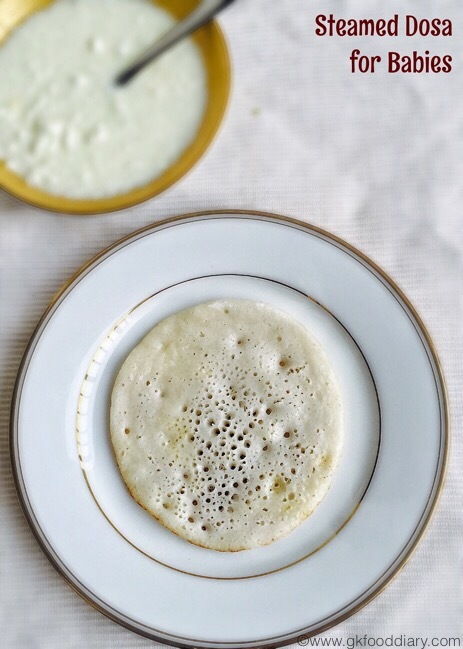 Many dosa recipes can be given to babies from 8-10 months, but some dosa recipes are better suited to slightly older babies. 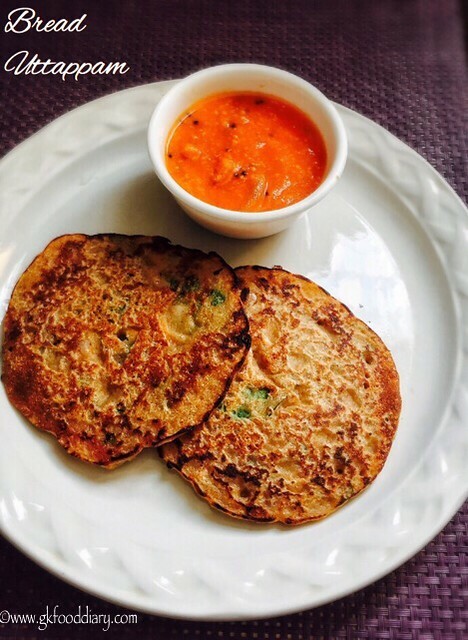 Hence choose recipes according to your baby’s age which is mentioned in the brackets along with recipe. 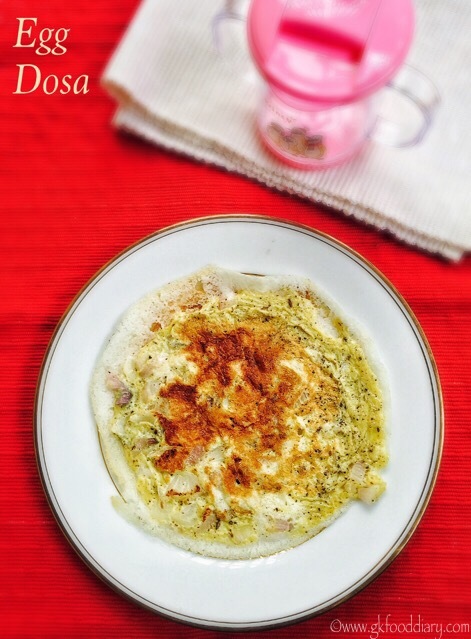 Please refer to the notes section given at end of this post for the points to remember before making these dosa recipes for your baby! 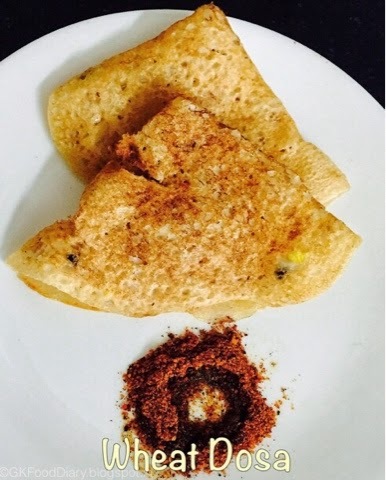 Here are some collection of dosa recipes, uttappams and pancakes which are very authentic and yummy. 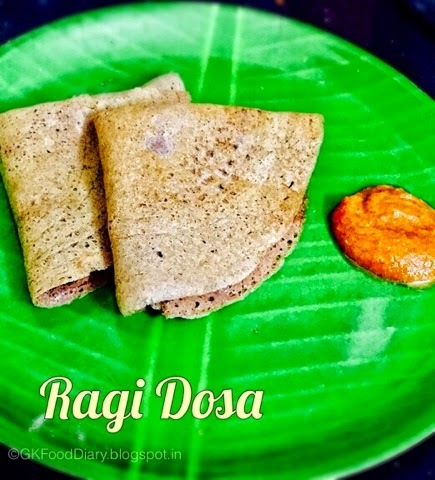 Each variety has its own flavor, color, texture and unique taste.Bookmark this page for future reference as i will be updating this post on a regular basis with different dosa, uttappams or pancakes recipes. 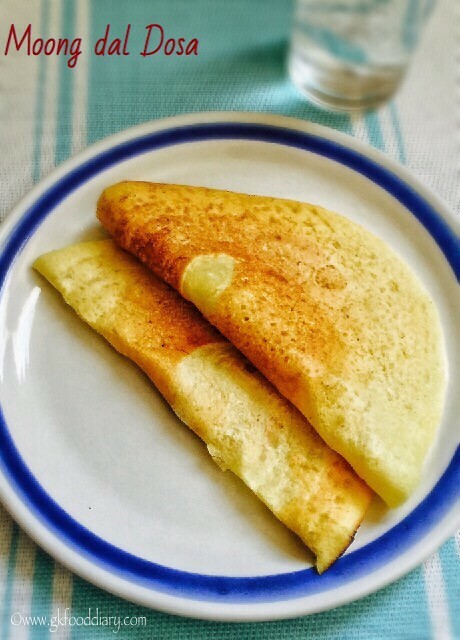 Click on each thumbnail image or the link given below for the recipes. 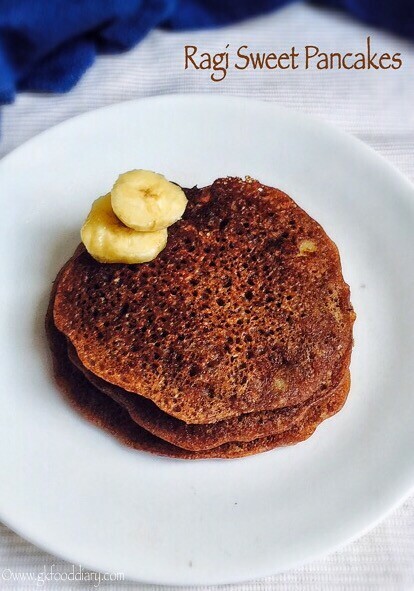 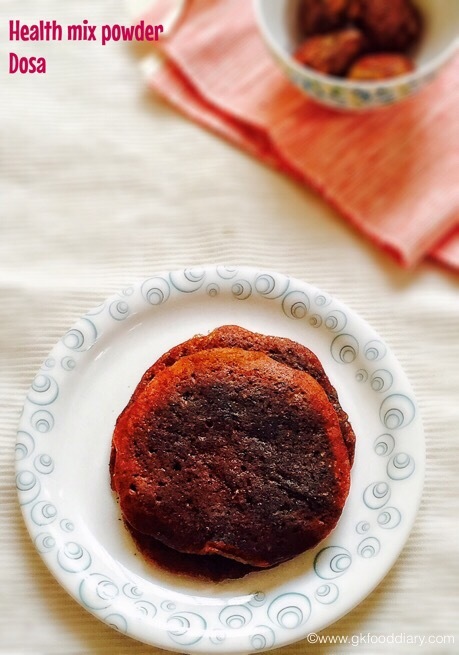 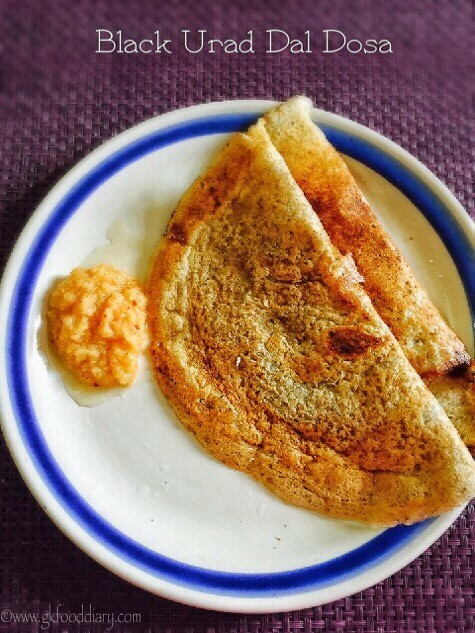 I will update this post with different dosa/uttappams/pancake recipes on a regular basis. 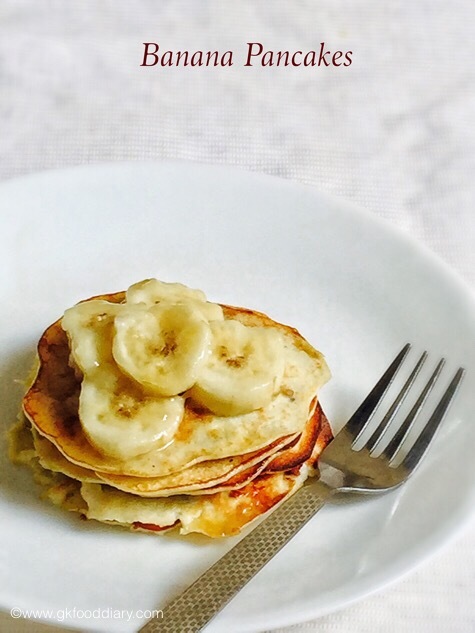 Never introduce more than 1 food at a time when introducing solids to your baby. 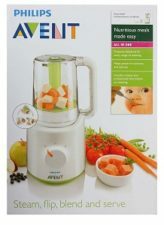 Check for allergy symptoms when you introducing a new food to your baby and stop feeding your baby if you find any symptoms. 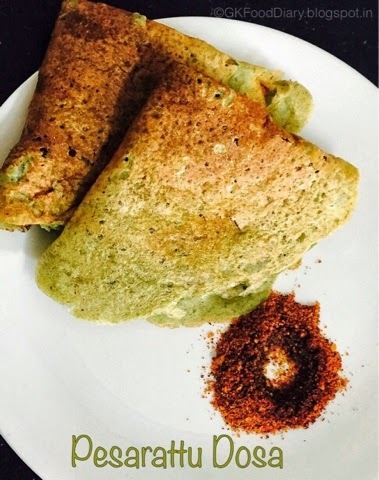 Please avoid green chillies and red chillies at least till two years. 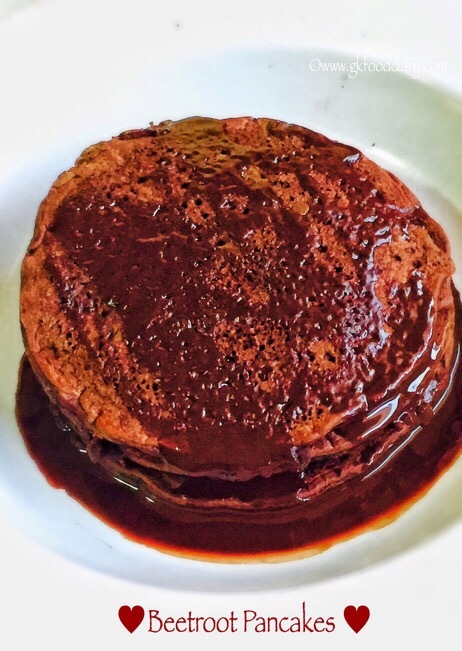 Sugar, salt and honey is not recommended until 1 years of age. 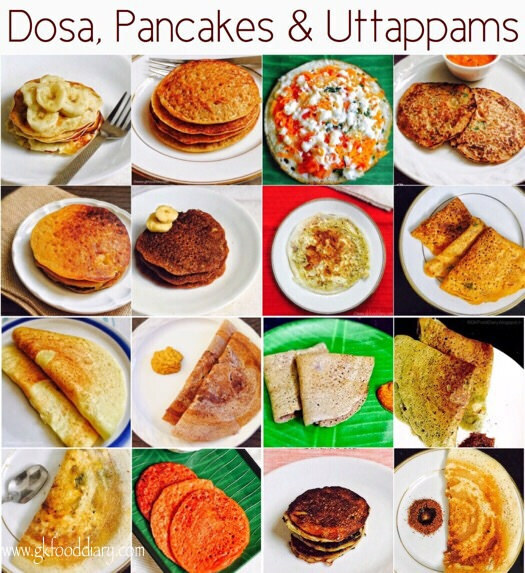 Dosa Varieties - a collection of indian dosa recipes, uttappams and pancakes for babies, toddlers and kids.